I read this article and found it very interesting, thought it might be something for you. 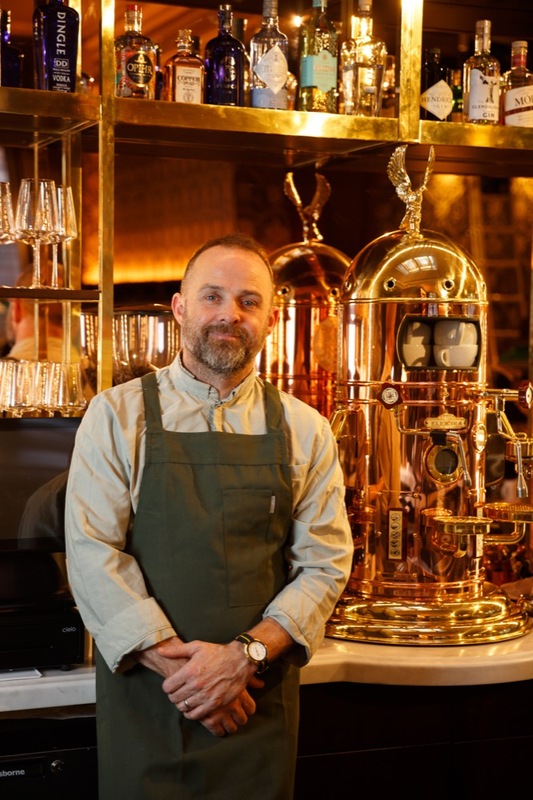 The article is called Dublin Dining Guide: Neil Mulholland – Café 1920 and is located at https://www.totallydublin.ie/food-drink/food-drink-features/dublin-dining-guide-neil-mulholland-cafe-1920/. Neil Mulholland joined the Fleet Hotel as Executive Head Chef of Café 1920 in August. He shares his thoughts on what he’s been doing and the food scene in general. You joined The Fleet Hotel in August. How do you approach getting involved with a new team? I have worked as a chef for 25 years across Europe, Australia and Africa. The key to putting a working team together anywhere is making sure from the start everyone will gel together. It has to be like you are creating a small family with a similar dynamic to a family group. It’s all about supporting each other and helping each other through daily challenges. I was very lucky to be able to hand pick the members of my culinary team. 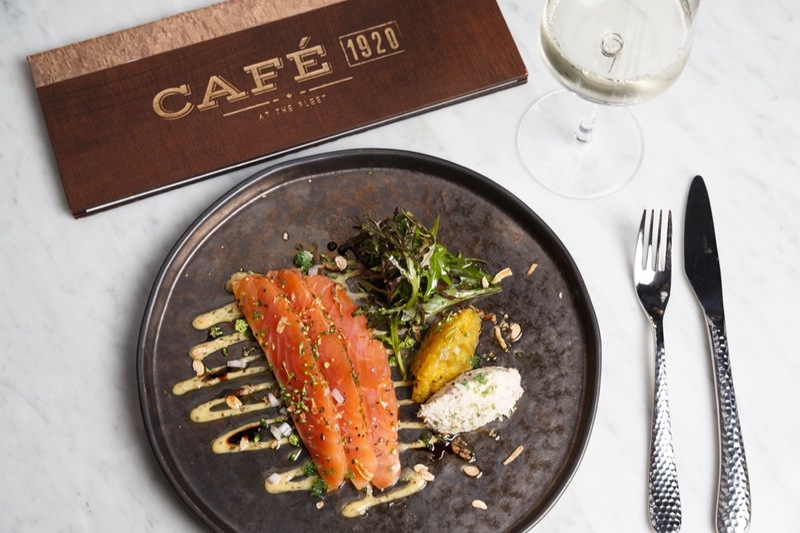 What changes have you made since arriving at Café 1920? It’s a brand new business, new build and new team. Coming in from the ground up is great, although we of course faced challenges as the project progressed. Our kitchen is as energy efficient as is possible to be and we really try to have zero waste to landfill. I am very conscious of the effect the restaurant industry has on the environment. Do you think there is a challenge in people perceiving hotel restaurants to be for ‘tourists’ especially in a location like Temple Bar? Absolutely, however having worked in the Dublin restaurant scene for over 20 years including as Head Chef in Peploe’s on St Stephens Green, I am sure that as soon as any Dubliner walks in through the door of Café 1920 they will appreciate the style and how welcoming it is to an eclectic mix of people. 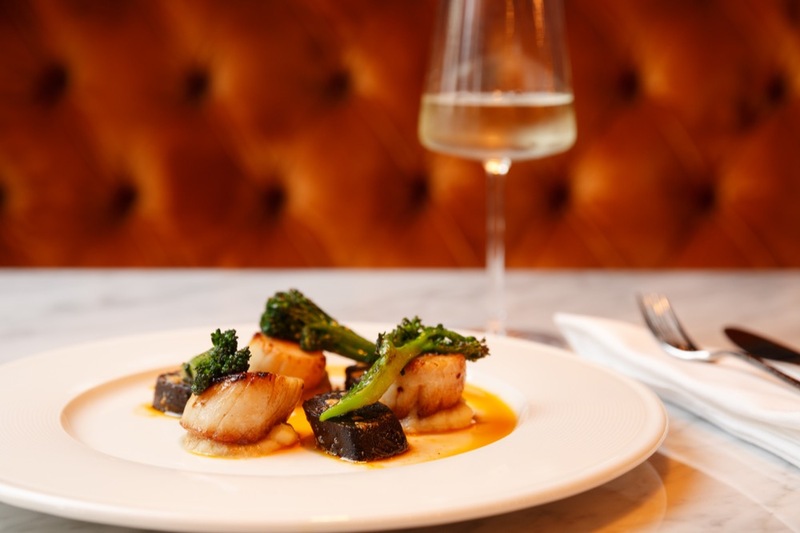 Based on Westmoreland Street, a key thoroughfare in Dublin, we look forward to being a refuge from the hustle and bustle of the city for a light bite, lunch, dinner, coffee or maybe a cocktail. Is there a dish you have developed on the menu which you would consider a signature one? Do you have a personal favourite in terms of cafe/restaurant in the city and comfort dish? Sano for pizza is great or Duck on Fade Street, the crispy roast pork belly and peking duck is sublime. What is exciting you most about the Irish food scene at the moment? Any predictions for how the food scene will unfold in 2019? I think vegan/vegetarianism, in particular veganism will rise. Right now, I am working on a great Vegan menu using quality Irish produce. Café 1920, 10 Westmoreland Street, Temple Bar.